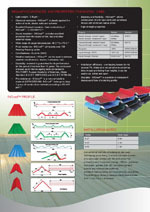 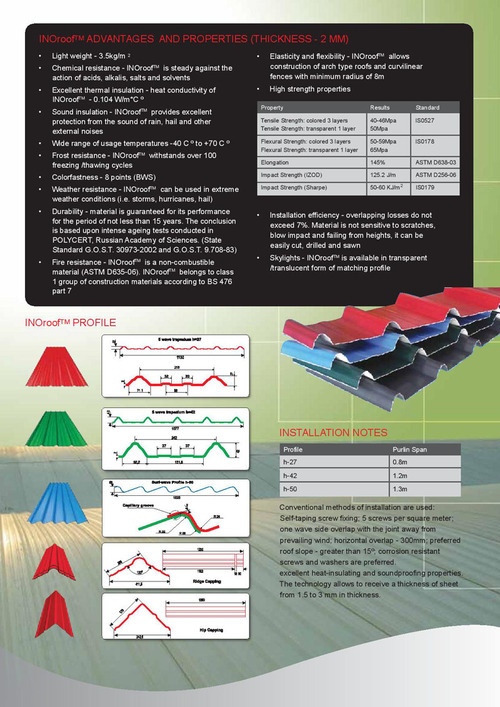 UPVC Roofing System (INOroofTM) is a modern rigid three layer polyvinylchloride (UPVC) roofing materials. 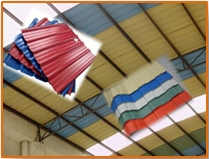 The advanced technology of extrusion manufacturing ensures superior quality and performance of the product. 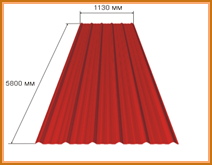 INOroofTMavailable in thickness range 1.5mm ~ 3.00mm with standard width of 3.5 feet. 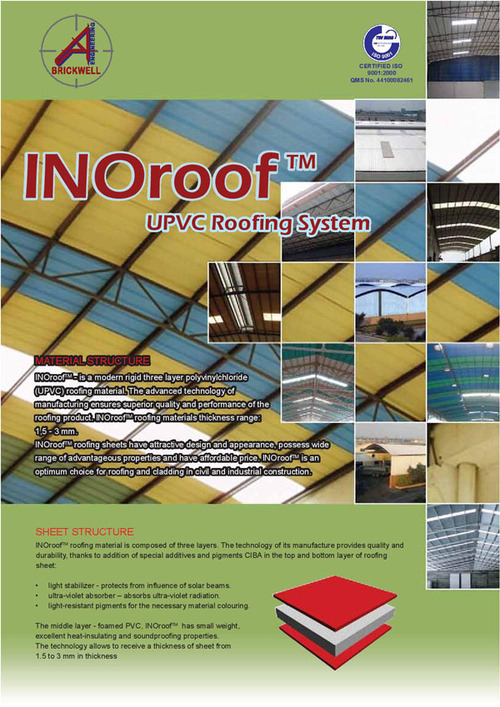 INOroofTM have attractive design and appearance, possesing wide range of advantages properties and have affordable process. 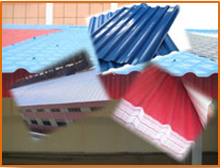 INOroofTM is an optimum choice for roofing and cladding in construction industry especially at seaside and plantation area.